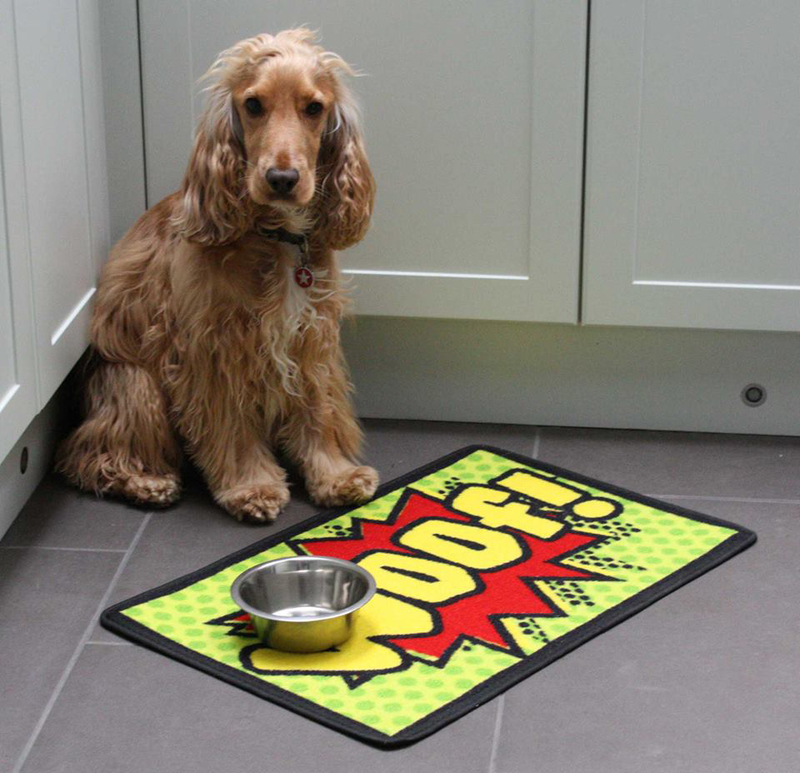 The Pet Rebellion Woof placemat is fully absorbent, has a non-slip base and is machine washable. Large enough to fit both the food and water bowl. There are currently no questions for Pet Rebellion Woof Dog Placemat - be the first to ask one!